Consumers and banks alike are increasingly turning to FinTechs for some of the most disruptive financial solutions in the market today. To support FinTechs worldwide, IBM today announced new developer tools, technology, training and programs to share financial services expertise. FinTechs are moving to create new approaches in payments, lending and new uses cases for blockchain such as Know Your Customer and Trade Finance. IBM is helping FinTechs envision, build and monetize their new solutions. IBM’s cloud and blockchain ecosystem helps FinTechs, start-ups, developers and independent software vendors drive design and development. In support, the IBM Learning Lab, which features more than 100 curated online courses and uses cases covering a range of technical areas from providers like Codecademy, Big Data University, DeveloperWorks, Udemy and Udacity, today released a new repository of fintech and blockchain courses and use cases for developers and business analysts. In the areas of Blockchain and fintech, the courses and use cases are offered in conjunction with FutureLearn, Fintech School and the Wall Street Blockchain Alliance. Additionally, earlier this month, at the first IBM Watson Developer Conference, IBM announced a partnership with Topcoder, the premier global software development community comprised of more than one million designers, developers, data scientists, and competitive programmers, to advance learning opportunities for cognitive developers who are looking to harness the power of Watson to create the next generation of artificial intelligence apps, APIs and solutions. Eigencat, a Singapore-based startup, is using Bluemix, IBM’s cloud platform, to deliver digital investment solutions for the financial market. The FinTech startup is also using IBM Cloud to develop new cognitive- based investment solutions using Watson APIs and broaden its reach within and outside Singapore. 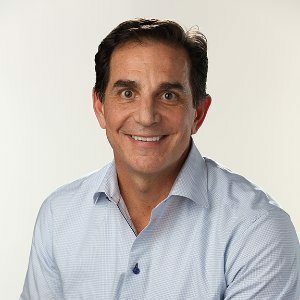 IBM’s network of Bluemix Garages serves as a hub where entrepreneurs, developers, designers and industry experts can come together to build on Bluemix. For example, working with the Singapore Bluemix Garage, start-up FreshTurf is creating an innovative blockchain-based network of storage lockers for shipping and parcel delivery throughout Singapore. To help FinTechs adopt blockchain using the Hyperledger Fabric, IBM also announced a set of new offerings aimed at blockchain developers. These include the Blockchain Starter Plan on Bluemix which helps developers build and test a blockchain network in one click. 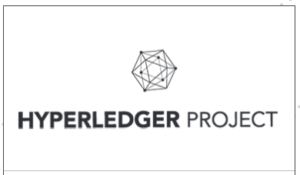 Worldwide Distribution of the Hyperledger Fabric on Docker Hub provides a tested and certified image of the Hyperledger Fabric on an environment of their choice, including their laptop or public or private cloud. The High Security Business Network supports industries with sensitive data and security requirements with security powered by IBM LinuxONE technology. Singapore FinTech startup KYCK! 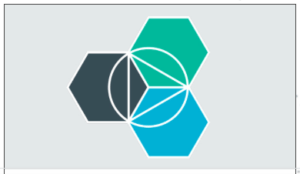 is also working in the Singapore Bluemix Garage to use these services to help build a new solution on IBM Cloud which provides a view into customer identity. Additionally, the technology innovation group within one of Thailand’s largest banks, Kasikornbank Public Company Limited. (KBank), is also working with IBM to build a new blockchain network designed to help simplify procedures for the bank’s corporate credit business, with the goal of enabling KBank to fast-track traditionally lengthy procedures such as Letters of Guarantee for clients. IBM is rapidly expanding its blockchain consulting services and capabilities and actively working with clients to understand what it takes to make blockchain ready for business. Through its open source contributions and resources for blockchain software developers, IBM is advancing the adoption of blockchain, with an eye to removing complexity, and making it more accessible and open. Financial services, supply chains, IoT, risk management, digital rights management and healthcare are some of the areas that are poised for dramatic change using blockchain networks.